« Summer off? Yeah, right! I’m already excited for next year! 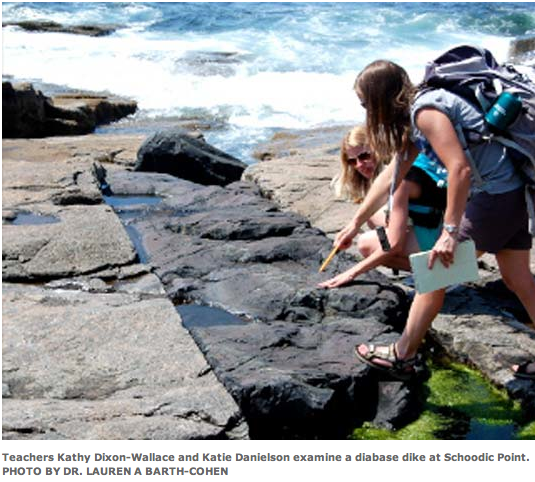 During the first week in July 70 Maine middle school science teachers met at the Schoodic Education and Research Center for professional development. The faculty was from UMaine and the teachers attended as part of the Maine Physical Sciences Partnership. The partnership is supported by a National Science Foundation grant and includes 18 school districts, the Maine Center for Research in STEM Education (RiSE Center) at UMaine, several nonprofit organizations and the Maine Department of Education. You can learn more and see photos at this link. This entry was posted on July 28, 2013 at 5:15 am and is filed under Professional Development, Science. You can follow any responses to this entry through the RSS 2.0 feed. You can leave a response, or trackback from your own site.